At its most base level, pickling is a simple scientific reaction. So here’s a little scientific trick that can help you pickle things almost instantly. 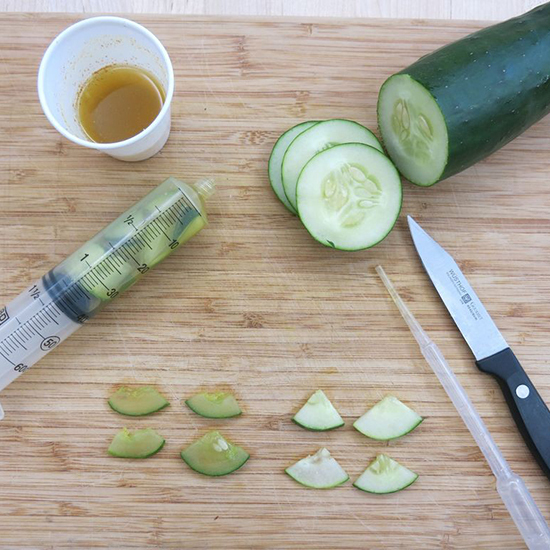 These vacuum conditions replicate the pickling process almost instantly, and when you pour your cucumber slices out of the syringe, they’ve been converted into ready to eat pickles. It’ll make you wonder why you ever waited so long for things to pickle in the past.